Should We Use All Our CPF for Housing or Save It for Retirement? Most of us know CPF can be utilised for housing. Now comes the question if we should use all our CPF for housing? I have written a few articles on CPF before and got interested in it when a colleague shared with me how he manage to amass quite a huge sum of money in his CPF accounts by the time he was age 55. The irony was, he was not really a high income worker, earning an average of about $2k-$4k a month throughout his lifetime. He had more than $600K in his CPF accounts just before the age of 55 and he has recently just retired from work once and for all. Furthermore, he has a fully paid up HDB flat in Bishan and is still able to accumulate a significant sum in his CPF accounts. Some of us may say its impossible to have more money for retirement now because housing prices have risen by a substantial amount. Some of us may say it’s impossible to have more money for retirement now as compared to the 1980s or 1990s because housing prices have risen by a substantial amount. According to HDB's website, the price index of HDB resale flats have risen by about 2.5-3 times. It’s true that housing prices are higher now but our salary have also risen much more than the past. The CPF system was created to help Singaporeans take care of their retirement, housing and healthcare needs. If we empty it, we will certainly not have enough for retirement. Let's see what we can do to balance between paying for a house and saving up for retirement. Most people max out their Ordinary Account (OA) monthly savings in their CPF for housing. Is this a wise thing to do? Our CPF savings earn us a risk-free interest of 2.5% per year on our OA, and 4% on our SA & MA. The first $60,000 of the combined balance (of which $20,000 comes from OA) will earn an additional 1% interest per year. If I just do a simple calculation and take $50,000 and grow it in the OA, how much would the amount be 30 years later? The answer, about $104,878. The amount which was left inside the OA and not used for housing would have grown more than 2 times. We don't even have to contribute more and the money just grows by itself. This is the power of compound interest. 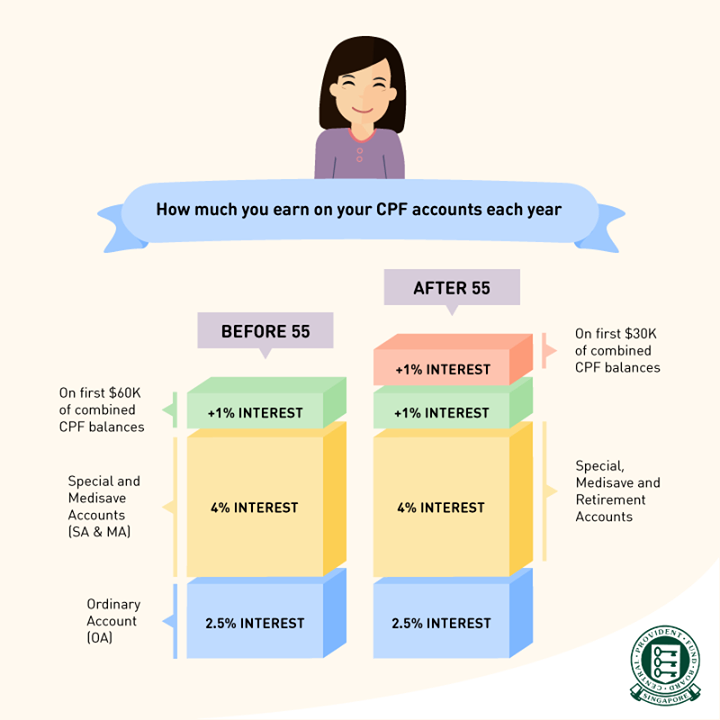 Furthermore, CPF members aged 55 and above will also earn an additional 1% extra interest on the first $30,000 of their combined balances (with up to $20,000 from the OA) from January 2016. This is paid over and above the current extra 1% interest that is earned on the first $60,000 of their combined balances. One thing we have to take note is when we buy a house using a HDB loan, the savings in our OA will be wiped out to pay for housing. If we have $50,000 in our OA, all will be wiped out to pay for our house and the remaining will be paid in instalments monthly. We will have lesser for retirement and the amount can be quite a significant amount due to the power of compounding. $50,000 earned in the OA at 2.5% for 30 years would have grown to $104,878. This is more than twice of the initial amount. There is an easy way to build more money for our retirement. If we take a HDB loan for our house, the required down payment is only 10%. Let's say we buy a $300,000 HDB flat, the down payment is $30,000. If we have a combined OA balance of $80,000 with our spouse, and we take a HDB loan, all our monies will be wiped out to pay for the housing cost if we do nothing. However, if we decide to build more for retirement and we transfer $50,000 to our SA and leave a combined balance of $30,000 to pay for the down payment, we will easily have more money for retirement. Just by doing the above, the $50,000 would have grown to about $195,084 in 30 years’ time if we transfer the $50,000 from our OA to SA. This is $145,000 more for our retirement which is quite a significant sum of money. However, do take note there is a limit to the amount that can be transferred from OA to SA, and that the transfers are irreversible and we cannot use the savings in our SA to pay for housing. This is a common question which people have. Some are shocked when they realise they don't have enough money in their CPF to pay for housing after turning 55. As most housing loans will stretch for 25 years, if we buy a house after the age of 30, there is a high probability that we will still have to continue paying the monthly housing mortgage after the age of 55. 55 years old is the time where we can take out our CPF money subject to the basic retirement sum. However, there are a lot of people who have concerns whether they can use their CPF to continue paying for their housing loan after 55 years old. Yes, we can use our Retirement Account (RA) savings (excluding top-up monies, interest earned, and any government grants received) above the Basic Retirement Sum and OA savings (including future contributions to the OA) to pay for our property, subject to the applicable housing limits. Apply to use our RA savings above our BRS. The BRS is in place to ensure we have enough for retirement. We do not want to end up having a house to stay but no food to eat. This is known as asset rich but cash poor. Before we even think about using all our CPF for housing, it would be good to know that there are limits on the amount of CPF savings we can use. Using all our money in the OA for housing would possibly mean lesser for retirement. Hence, the housing limits, Valuation Limit (VL) and Withdrawal Limit (WL), are in place to ensure we have enough for retirement. Let's take a closer look at what VL and WL are. None. You can use your CPF until the loan is fully paid. To set aside the current Basic Retirement Sum (BRS) in your Special Account (SA)* and Ordinary Account (OA). To meet the BRS in your Retirement Account (RA), SA* and OA. * including the amount withdrawn for investment. 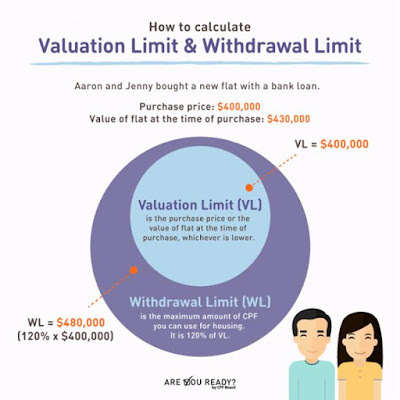 For bank loan, you can only use your CPF up to WL. CPF can be used for housing but there are certain limits to how much we can use so as to ensure we have sufficient for our retirement needs. 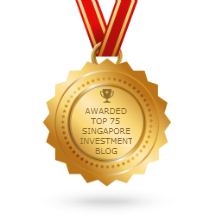 The power of compounding interest is what makes a lot of people richer and if we just have a little knowledge and leave some money in our CPF accounts, we would surely have more money for retirement. To me, it is pointless to be asset rich and cash poor. If we buy a big house but have nothing left for retirement, it would be a very sad thing at the end of our golden years where we are supposed to be enjoying life more. Plan ahead, think far and our lives could be much better in the future. Interest rates are rising and is still rising. Back in 2013, I started to write about the possibility of a rise in interest rates which will hurt people who are over-leveraged on debt. That was a time when interest rates were at a very low level due to QE from the US. When they started to reduce and then stop the QE, interest rates started to rise. The rise in interest rate will affect most of us who have home loans with the banks currently. The effect is felt almost immediately with many banks starting to revise their home loan packages one by one. No longer will we see home loan interest rates of less than 2% soon. Previously, many people switched from HDB loan to bank loan to take advantage of the low interest rates which was only 1%+. With their CPF OA giving interest at 2.5% and them paying less than 2% for their mortgages, many would have benefited from switching. However, did you know the average historical interest rates is about 3.5%? The rates will be going in that direction and probably will reach 3.5% very soon. This is also a rate set by MAS when calculating the total debt servicing ratio (TDSR). Our central bank wants to ensure people are still able to service their loans even when interest rates rise to 3.5% which is the average historical rate we should be looking at too. 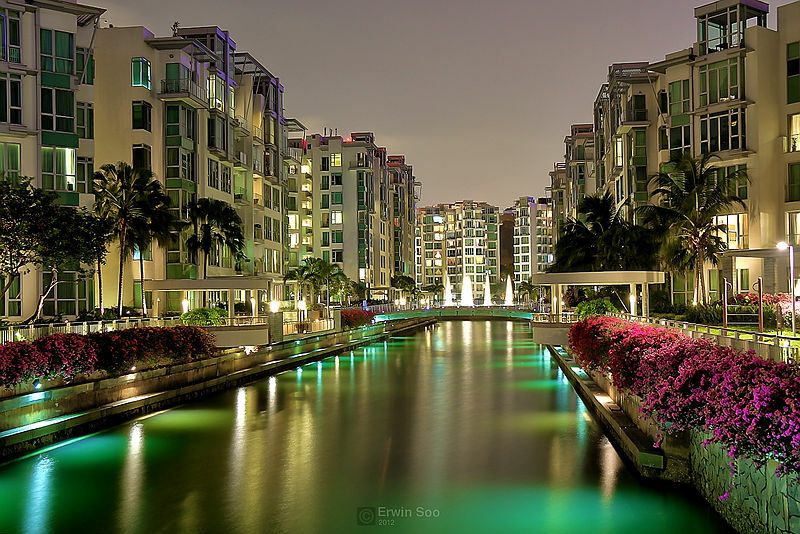 The SIBOR and board rate are 2 of the most common variable loan packages in Singapore. If you're not sure which loan package you are on, chances are you are also on the SIBOR or board rate packages. This is because if you do not refinance your housing loans, your loan package will automatically be changed back to the variable rate package even if you are on fixed rate previously. Recently, UOB and Maybank separately announced to their customers that they will be increasing their board rate. Maybank announced that their board rate will increase by 0.25% effective 18 February 2016 and UOB announced their board rate will increase by 0.5% from 15 February 2016. The 3M SIBOR has also increased from 0.25% in 2011 to 1.25% just last week. This is already a 1% increase in interest rates. Fixed rate packages are not spared either. Banks in Singapore have been removing and revising their fixed rate packages in Singapore since the past few months. The revision has gone up by as much as 0.5%. Most fixed rate packages in Singapore are already at more than 2% versus the 1.68% which I saw just a few months ago. Refinancing to fixed rate packages is the best thing to do in a rising interest rate environment. While most fixed rate packages are already above 2%, there is still have a good fixed rate package which is below 2% but this will end by 31st January 2016. A point to note is if your home loan package is still under a lock in period, you can refinance now to get the good rates as long as the lock in will finish within 6 months. You will not incur any penalty charges. If you wait till the end of your lock in period, by then most of the home loan rates would have been revised upwards. 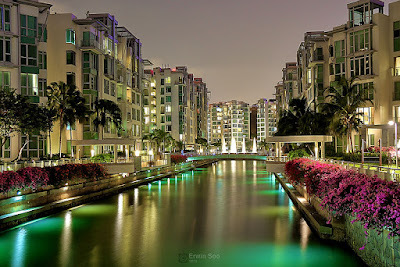 Mortgage loans are one of the largest expenses which most Singaporeans would have. If we can just save a few hundred a month by refinancing, it will definitely make us more financially well off. For a $400,000 mortgage loan with interest at 2.6%, we would be paying $10,400 in interest alone in one year only. Time to take action before its too late. The good home loan packages will be gone very soon. 3. Should Couples Buy A 5 Room HDB Flat For Their First BTO Application? During the Singapore Budget earlier this year, an announcement was made pertaining to the Medisave Account. Starting from 1 January 2016, there will no longer be any Medisave Minimum Sum (MMS) in place for CPF members. With 2016 approaching, we decide to revisit this change and look at how it would impact Singaporeans, especially those who are approaching the age of 55. Under the previous scheme, CPF members would need to ensure that they have hit the MMS ($43,500 in 2015) before being able to withdraw excess funds (funds above what is set aside for the Retirement Account) from their CPF Special and Ordinary Account. If they have not hit the MMS level, they will need to provide a top-up from the other CPF accounts to their Medisave first. From 2016 onwards, there would no longer be any MMS. Essentially, what this means is that CPF members can choose to withdraw monies from their Ordinary and Special Accounts at the age of 55 after having set aside for their Retirement Account (RA). In our example, the individual is able to withdraw an extra $13,500 because he no longer needs to top-up his Medisave Account. For those of you who do not know, there is currently a Medisave Contribution Ceiling (MCC), which is $48,500 as at 2015. That means that even if you want to, your Medisave Account cannot go beyond $48,500. Any further contributions made to Medisave after your MCC has been reached will automatically be diverted to your Special Account instead. In true Singapore spirit, we will be renaming the MCC from one acronym to another. So we will be going from the MCC to the BHS, which stands for the Basic Healthcare Retirement. Don’t get confused; they are essentially the same thing. One thing to note about the MCC BHS is that in order to stay relevant with the inevitable rise in healthcare cost in the future, the BHS will be reviewed and adjusted annually. What Does All These Means To Us? Whenever we contribute monthly to our CPF accounts, it goes into three different accounts, Ordinary, Special and Medisave. All of these accounts serve different purposes, with Medisave being used for health-related expenses incurred by the individual. The scrapping of the Medisave Minimum Sum means that regardless of how little you have in your Medisave account, it would have no impact on the money you can withdraw from your Ordinary and Special Accounts after 55. It would require no extra top-ups; aside from the contributions it receives as part of the CPF monthly contributions when the individual is working. Planning for our healthcare needs is an important aspect of personal finance planning. In this aspect, your Medisave Account is an independent, stand-alone account created to help cover your hospitalisation and healthcare needs. Investing seems like the easy way where we can make our fortune or can give us a hope for a better life. There are so many ways to investing and each one of us have different investment styles and strategy. There is never a one size fit all approach. 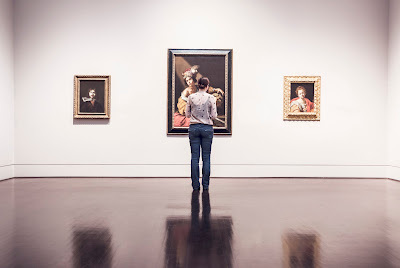 To me, investment is more of an art than a science. I've been investing for the past 5 years and there are certainly ups and downs in my investing journey. I would say that over the years, I've come to realize that investment is really an art. We can have the best investment knowledge but in the end still lose money from our investments. There is no guaranteed way of making money from our investments. With that, here are some pointers for those who are just starting out investing or even if you've been investing for quite some time, I hope these reflection of mine will be beneficial for you too. Risk management is very important in investing. We do not want to put all our money into one stock or one investment thinking that its going to make us a lot of money. Even if you've researched about this company for many years, situation can still take a u-turn, catching us off guard. In this era where information moves very fast, competition can come in very fast too and affect a company's profit entirely. Nokia and Siemens were two of the biggest mobile phone and telecoms giant 10 years ago but now they are defeated by competition from Apple and Samsung. Kodak was one of the biggest photographic film company many years ago but it has now been replaced by digital cameras and smart phone cameras. In investing, we should think about how much we are willing to lose and if we lose this amount will we still be able to live our lives normally? It would be foolish to borrow money for investment as we could lose more than what we have in an instant. That to me is too much risk. I would only invest the money I am able to lose. Do not treat investing as some kind of scheme where you can get rich quick very fast. This happens mostly for people who do not have too much money now but want to have more money faster. The temptation of getting huge passive income and double or triple the money we have from investing is always there. It is true that we can get passive income and capital gains from investing. But it certainly does not happen as fast as we thought it would be. It would be prudent for us to manage our expectations of the investment returns which we can get from investing. Is 10% p.a achievable in the long term or maybe just 5% p.a? I would say it is not easy to make more than 15% investment returns consistently for many years. You may be lucky for a few years but things may turn around. Throughout the years, the capital I accumulated did not come from investment mostly. It came from the income I had from work and other active income. While we are investing and learning all we can to grow our money, do not forget to build up your skills and increase your active income as well. The more income you have, the easier and faster it is to save money provided you do not spend it all away. A person who has accumulated 1 Million dollars can just invest with an investment return of 5% and he will get $50,000 a year. If we only had a capital of $50,000, 5% investment return is just $2500 which is not a lot. Over the years, I have been trying to create multiple streams of income. Today, I have income from at least 4 different sources. It wasn't an easy task and requires a lot of time and effort. What I want to highlight is most of my income still does not come from investments alone. It comes from learning new skills and working hard to increase my active income. Passive income, although important, does not come easy and fast. My passive income has been increasing but its still not a significant amount yet. In conclusion, investment really takes experience. Getting your hands dirty, falling and picking yourself up and going through some pain in order to learn it the hard way is part and parcel of the the process to invest better. Sometimes, it does require patience to ride through cycles and see your investment profit after a few years. Yes, sometimes it takes years to see results. Those who have the patience will get to eat the fruits at the end. This is going to be my first post for the new year 2016. Thinking back when I first started investing, it wasn't a really smooth sailing journey. I read lots of books on how to start investing but never really got an idea of what it really is until I experience it myself. Most were too theoretical and to be successful in investing, it is not as easy as following a set of rules. 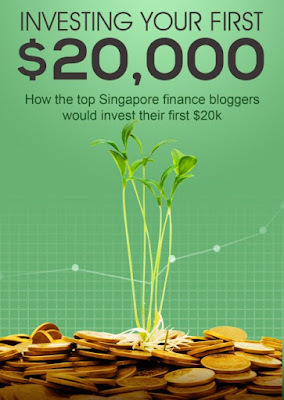 There were very few real life examples of how people really invested their money especially in Singapore. So, a few other blogger friends and I made an effort to write and share our experiences on investing and compiled it into an Ebook. Hopefully, this will make it easier for most of you to start investing. We have named title of the book as "Investing your first $20,000"
This book is going to be given free to all my readers here as a gift for the new year. It took months to compile and bring together all the thoughts and ideas to give you a complete picture of how each of us invest our money. Feel free to download and share it around with your friends. Happy new year and wishing all a wonderful year ahead!